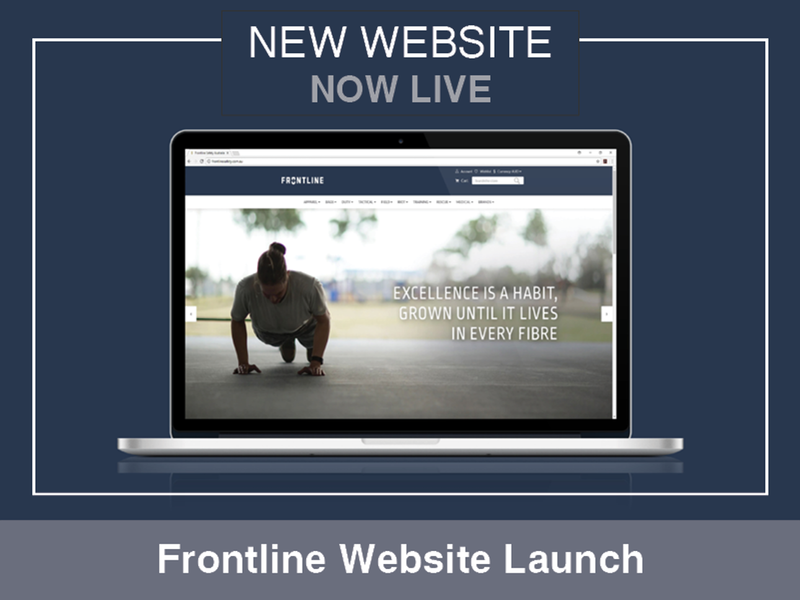 Welcome to the New Frontline Website! Whilst you browse online, you may want to check out some of the new features. The new site has an easy to use layout and you can search by category, brand, product name or part number. We’ve also added more technical information about our products so you can check an item has everything you’re after, and more. We have a huge product range from your most trusted tactical and outdoor brands. Hundreds of products in stock, ready and waiting for your next purchase! You'll also find pre-order and special order items available to cater for your every need. To make all these products accessible to you, we opted for a mega-menu. All our categories in one, fully visible menu. You'll notice the categories are familiar and well-organised, so you're just one click away from the product you need (or want). Our new website doesn't discriminate - shop your way. Go straight to the product category, or scroll through a range of products from a brand of your choice... either way, you'll soon be immersed in the Frontline online store. If you are unable to find the product you need, or you are searching for something that requires customisation... Contact us and we will be happy to help! Enter a brand, product name or part npumber and get the product you want immediately! Why browse when you can quickly and easily focus on a certain product... and add to cart within minutes. Much like Google, there is an entire online store at your fingertips. Search and you shall find! Stay up-to-date with the newest product releases, or with our current sale items... right there on the homepage. Our Frontline team will be providing updated featured products each month, as we receive new brands or stock of popular products. We'll also be displaying sale items, and helping you to save $$$. Featured products provides you with a quick view of a select range of items that we recommend from brands you know and trust. Between 4-8 products will be featured at any one time. Scroll down the homepage, and take a look at what’s new. Fresh blog posts will be uploaded to the new Frontline website monthly. A variety of topics to suit our audience, sale notifications, new product releases... we promise it will be worth the read! Our team will also be sharing news articles, calendar events, and event opportunities as we strive to keep you informed with the industry you work in and the products you trust. Get special offers and discounts! Sign up to our mailing list and we will send you product releases, helpful product information and sales discounts. We'll also keep you up-to-date with any events you may be interested in. Huge images, multiple angles... and links to 360 degree product videos. Know the product you are purchasing before you buy it! Know what to expect. You'll can see the exact product, read the features and specifications, and make an informed choice before you place your order. See all the angles, before you make your move! 8. Product Colour & Size Options! Our apparel, footwear, belts, and gloves often have several different colour and size options. This allows you to see all the available options for a particular product. You can now choose the colour you want and the size that fits, with helpful swatches to make selecting your product easy! Select a colour, select a size... add to bag. Check-out and you’re done. Customers are welcome to contact our team by completing the online form. We’ll aim to reply to customer enquiries within 24-48 hours. If you are looking for a specific product and can't find it, or want special order something that is out of stock please do contact us by phone or by email via the online form. Our customer service team are always happy to help and will aim to have a response for you within 24-48 hours. We hope you enjoy your online experience with us, and please let us know if you come across any issues on our website so we can fix any glitches right away. And if an online order is not working out for whatever reason, we’re always happy to take your order by phone or email.